It's gotta go! Be sure to be at auction tonight to bag yourself a bargain! Venture down this driveway in this quiet elevated culdesac for a pleasant surprise as to what's on offer! 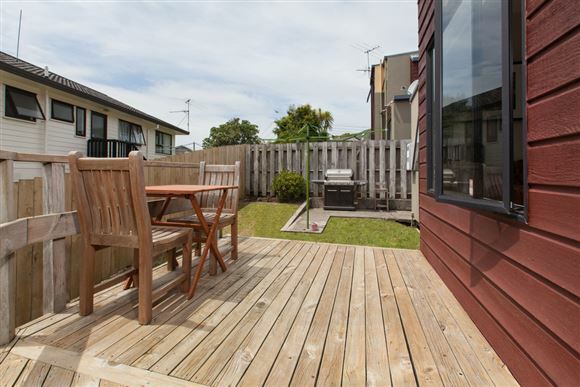 Immaculately presented, sun-soaked and very low maintenance, this is the perfect starter home, lock 'n' leave or investment property. The bedrooms are huge. The backyard is surprisingly large. It is close to many local shops and cafes, major shopping/business centres, motorway access, bus park'n'ride station, and the restaurants, beach, parks, golf, tennis and surf clubs of Mairangi Bay are just down the road. It is also zoned for superb schooling options - Mairangi Bay Primary, Murrays Bay Int, Westlake Girls High and Rangitoto College. Bonuses - double int access garage, two bathrooms, ample basement storage and development potential (concept plans avail) plus direct access to a park reserve! For a home so well presented and so central to loads of amenities, this represents an absolutely affordable buying opportunity! RV $540,000k. Come and get a bargain!